Remodeling can be a great option for someone who wants a fresh start without having to relocate or start over completely. Older homes are often full of character and memories that are hard to walk away from. In many cases, home remodeling is the perfect solution to update without uprooting. Remodels make homes feel and look new and fresh while simultaneously increasing the value of the home. Keep in mind, the reason for your remodel does matter. If you're wanting to keep your home for at least another few years, your remodel should solely reflect your taste. If you're remodeling to resell, thinking about your return on investment is your best option. Either way, we're experts in our field and we can help guide you through the entire process! Kitchens are often the nucleus of a home. Kitchen remodels recently overtook bathroom remodels as the most commonly renovated room in American households. Fresh appliances, cabinets, flooring, and counter tops can make a world of difference in how your kitchen looks and feels. Whether your end goal is to add value to your home for resale, or make a dramatic change in order to freshen up and update your home for your own enjoyment, a kitchen remodel is our number one option. Kitchen and bathroom remodels have a similarly high return on investment, and they're the two most popular rooms to renovate. Depending on the intensity of the renovation, bathrooms tend to have a quicker turn around time and often cost less than a kitchen renovation. Master bathroom additions are a popular project for older homes, as most house hunters expect a master suite when searching to buy. Who doesn't want a beautiful spa-like soaking tub or walk-in shower to enjoy after a hard day of work? Additions to your home can get expensive, but it definitely can pay off. 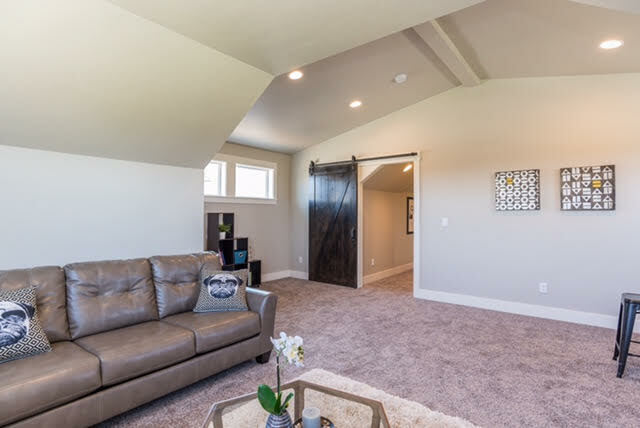 Adding on a second level to your home, finishing the basement underneath it, or adding onto the main floor are some great options to add value and square footage to your home. Additions are a safe bet because extra space never really goes out of style. Have questions about renovations? Get in touch with our office for a quote!